Punjab Subordinate Selection Service Board has announced recruitment notification to fill 81 posts of Ayurveda Upvaids. Eligible candidates can fill the online application. 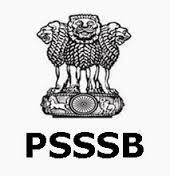 The notification for Punjab PSSSB Recruitment 2015 for 81 Ayurveda Upvaids has been released. Prospects age ought to be minimal 18 years and also maximum 37 years as on 01.01.2015. Age Relaxation is applicable as per regulations. Prospects should have Vaidya/ Up-Vaidya/ Vaidya Vishard/ Ayurved Vishard/ Vaidya Bhishak/ Bishak or its equivalent certification. Interested and eligible candidates applying for any position may apply online through official website of Punjab Subordinate service selection board (PSSSB) https://www.punjabsssb.gov.in from 7th December 2015 to 28th December 2016. Interested and eligible candidates applying for the position of Ayurveda Upvaid are required to pay application fee Rs 600/- for general categories candidates and Rs 150/- for schedule caste categories candidates (SC) / schedule tribe categories candidates (ST) and Rs 100/- for Ex – Servicemen categories candidates. Fee must be deposited with any branch of State bank of India (SBI) after 24 hours of submitting of application trough Challan. Starting date for the Registration of online application: 7th December 2015. Last date for the registration of online application: 28th December 2016. Last date for the submission of application fee: 31st December 2016. Last date for submission of online application: 4th January 2015. Note: Only Indian national are eligible for the position.